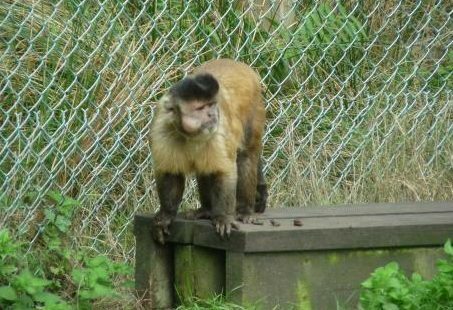 There are 79 capuchin monkeys (Cebus apella) at Monkey World. Most came from a Chilean laboratory in 2008 but several were rescued from the UK pet trade. They now live in 4 separate groups at the park.